The Legal Intelligencer’s annual “Best of” survey was released today; as usual, the latest edition shines a light on what legal resources attorneys in the Keystone State are using. The survey’s respondents are readers of The Legal Intelligencer, the Philadelphia-based daily law journal that has been operating for more than 150 years. A big kudos goes out to Jenkins Law Library for taking silver in the “Online Research Provider” category. Attorneys apparently view Jenkins as an “online research provider”; this is emblematic of law librarianship’s shift-to-digital, as well as proof that Jenkins has done an excellent job of adapting to the new, digital norm. Most strikingly, this shows Jenkins has succeeded in changing public perception to view a law library not as just a physical building but as a provider of online researching. Jenkins Law Library took silver to Lexis Advance and Westlaw Next who tied for gold. 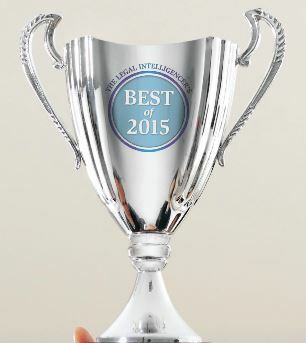 Bloomberg Law finished third in this category. Notably, Lexis Nexis took home the gold in a number of categories, including E-Discovery, Online Research Provider, Legal iPad app, Case Management, Time and Billing, and Docketing; clearly, Philadelphia, and Pennsylvania as a whole, is a strong market for Lexis Nexis. From a macro level, the survey shows the digital transitioning the legal field is strongly experiencing by having so many categories dedicated strictly to software and interfaces. Yet, it also shows that the big publishers have really striven to corner the market on specific, digital offerings (again, see how many categories Lexis Nexis took first in, above). With that said, the results are dotted with smaller companies who specialize in one area of the legal practice (Needles to case management, for example), which at least suggests there is still room for legal tech startups. What can we glean from the results of the Legal iPad Apps category, where Lexis’s Lexis Advanced HD took gold, WestlawNext for iPad took silver, and Black’s Law Dictionary took bronze? Black’s has great name recognition, but the app is basically an e-book. Is this a sign that iPad use has not gained much traction in the legal profession, given that survey respondents may have just selected a name they knew (over, say, a more robust iPad offering like fastcase), or is this a sign that non-Westlaw and Lexis apps have been unable to penetrate if not the market, then at least public consciousness? Or, on the other hand, is Black’s a perfect iPad app deployment in that it eliminates the need to haul a big book around, and that it costs significantly less ($54.95 for the app, $81.95 for the book) than its hardbound brethren? Again, we seem to still be on the sidelines, waiting to see how legal apps shake out in the marketplace.